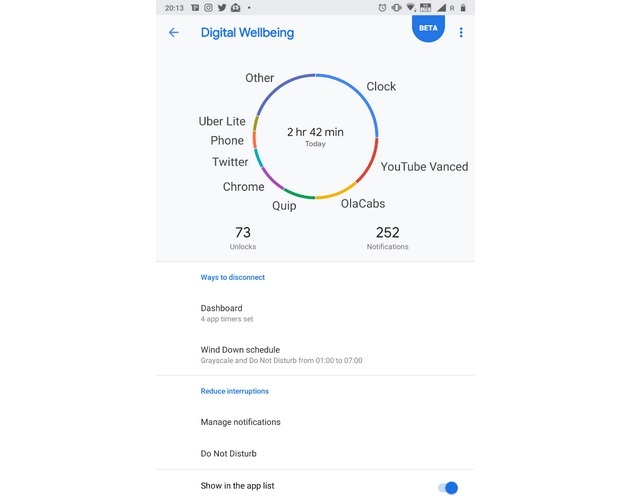 Google has released the Digital Wellbeing app for the Nokia 7 Plus through a Play Store update. The app is now available for all Nokia 7 Plus units running Android Pie Beta. 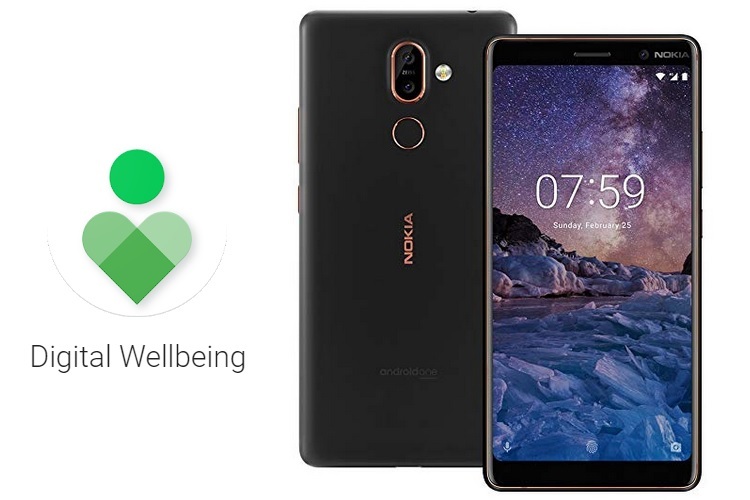 The Digital Wellbeing app had so far only been available for the Pixel smartphones, but it’s been released through a Play Store update for the Nokia 7 Plus, which we were able to confirm with our phone at Beebom running Android Pie beta. Digital Wellbeing essentially lets you take control of your life by limiting smartphone usage. It can tell you how much time you spend on your phone, including per-app usage, unlock times, and other data. Of course, that’s just one part of the app. The primary intervention point is App Timers, where you can limit how long you can use any app on your phone. And there’s Wind Down mode, which works at night time and automatically dims your display, changes the colorspace to grayscale and turns on Do Not Disturb mode to help you get ready for bed. As you may know blue light interferes with sleep and bright colours also keep your brain occupied, which interferes with your sleep patterns.